In recent years, chemical peels have gained immense popularity world over. A chemical peel treatment removes the damaged outer layer of facial skin and helps improve texture, reduce scarring, and remove blemishes as well as pre-cancerous growths, thereby offering healthy, glowing and younger skin. 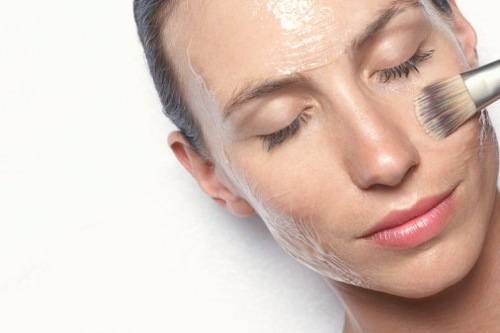 There are 3 types of chemical peeling for skin which range from mild to strong. These include alphahydroxy acids (AHAs), phenol and tricholoroacetic acid (TCA). The benefits of chemical skin peel can be combined with other procedures like facelifts to achieve a younger look. AHA peels are the gentlest among the 3 types of peels. They contain a group of glycolic, lactic and fruit acids which smooth and brighten the skin by treating fine wrinkles, acne, uneven pigmentation, and skin dryness. This peel is typically applied once a week, or mixed in a milder concentration with a cleanser to be used daily. The treatment takes 10 minutes or less. TCA peels are used for medium-depth peeling for treating fine surface wrinkles, pigmentation and superficial blemishes. This is the preferred chemical solution for dark skinned patients and can be used on the neck as well as other areas of the body. Often, the results are less impressive and don’t last as long as phenol peels. Multiple treatments may be required, but sessions only last 10-15 minutes with recovery time being shorter. The strongest and deepest peel, Phenol, treats deeper skin problems like pre-cancerous growths, coarse facial wrinkles, and areas of damaged skin caused due to sun exposure, ageing or birth-control pills. Since phenol lightens skin where it is applied, a patient’s natural pigmentation is a factor for determining eligibility. Phenol is only used on the face and a full-facial treatment can last for 1 or 2 hours. Recovery can take a couple of months. Is Chemical Peel Effective against Scars? Yes. Chemical peel scar treatment is considered as one of the safest and most effective procedures to get rid of scars, irrespective of how bad they are. Is there Pain Involved after the Procedure? What to expect after chemical peel is the most common concern people have regarding this treatment. Well, AHA peels can cause temporary redness, stinging, irritation, flaking or crusting. TCA and Phenol peels can cause tingling or throbbing, a crust or scab, reddened skin, and significant swelling which usually lasts for about a week, depending upon the strength of the peel used. Is it Safe to Combine Peels and Microdermabrasion? Generally, it is not recommended to have a chemical peel after microdermabrasion on the same day, because both are designed to have the same effect. Both procedures cause skin exfoliation and combining them on the same day could result in too much skin redness and irritation. The combination of the 2 in experienced hands is quite safe, but it is generally recommended to have a peel procedure after a gap of some time, after microdermabrasion. If you do want to have both these procedures, a customized plan needs to be followed with periods of heeling time in between. They should not be done at the same time. This procedure carries potential risks like infection and scarring. TCA peels might produce some color changes in the skin, while phenol reduces or eliminates the new skin’s ability to produce pigment evenly, thus causing a lighter or uneven skin tone. Overall, however, a Chemical peel treatment is safe, quick and effective.